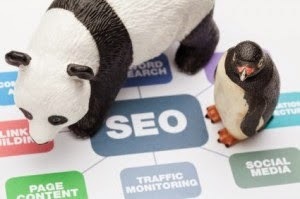 What To Expect For SEO In 2015? In the past, we have talked about how SEO changes every few months. What is a best-practice today might be frowned upon next year, hence SEO experts have to constantly readjust and re-analyze their strategies. According to Moz, there have been as many as 83 major search algorithm in the last 3 years. While we cannot predict what's next, we surely can look at trends and start heading in a new direction this year. It was a trend an year or so ago. Now it's a reality. Go mobile, or go home - that's the mantra most businesses are now following. According to a study, 74% of mobile users used a search engine during their everyday purchasing process, with 83% wanting to make a purchase that day, and 55% within the hour. This means that your small business needs to focus on optimizing for mobile. Google is putting far more emphasis. It's about time you did the same. Relationships are the new backlinks. Your goal for successful SEO should be focused on creating meaningful relationships with industry influencers. Reach out to them and ask for their opinions. Identify opportunities to praise their viewpoints. Follow them through social channels and like, retweet, or +1 their updates. Just like you would in person, people are more apt to help you if you show sincere respect and appreciation towards them. Keyword targeting is a thing of the past now. Semantic search refers to one way that the Google algorithms are changing. Google is starting to put a larger emphasis on the fact that users generally search in a conversational tone, so context is going to be more important than the specific keywords someone types in the search query box. This means that you need to start thinking about search queries and focusing on the context around the keywords you use in your content. In 2014, Google started giving a slight SEO boost to sites that were secure. Even though it might only affect 1% of global searches, we can definitely see the writing on the wall that this percentage will likely increase. Google has publicly said that they encourage all website owners to switch from HTTP to HTTPS to keep everyone safe on the web. Google always tries to identify ways in which they can provide their users the best search experience as possible. One way that they believe they can accomplish this is by providing a way to grade writers. They do this through the use of the rel=author tag which has been in use since 2012. It used to be that the determination of content being ranked was highly dependent on the site in which it was written on, and it still is to some extent. However, Google believes that if a writer has a great following and produces content that many people find valuable/interesting, then that content should rank higher regardless of the websites overall authority. So in 2015 if you want your content to rank in Google, build your author authority now. If you need to learn more about how to build your authority, you can do that here. Of course, there are still many SEO best practices that haven't changed and will not change in 2015. The question you should continue to ask yourself is: "How can I improve my website to offer more value to my visitors?" If you are continually working to do this, you will likely be rewarded as such in the Google search results. Wow, thank you so much.